If this decision comes as fast as it ought to, the landscape of the National Basketball Association is permanently changed for the next 10 seasons. Bank on it. The possible movement of one LeBron James, a 25-year old phenom who has a career average of 27 points, 7 boards, and 7 assists per game, will undoubtedly shatter the NBA which you've become so accustomed to. Getting excited yet?!?!? Story number one throughout every sports medium. The only thing your hearing on the radio. The only story The World Wide Leader would lead you to believe is going on. We don't really care that Phil Jackson or Doc Rivers are returning. We don't care about Paul Pierce adding his name to the list of superstars looking to opt-out, the list of All-Stars and future Hall of Famers. None of that matters at this point. When the games most dominant individual, an individual which brings 40+ victories to any starting five he joinns, is on the market all bets are more than off. 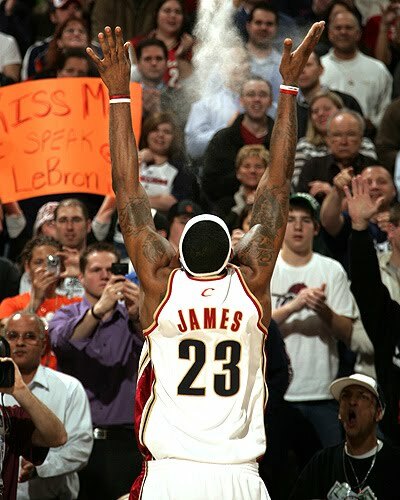 From L.A. to Dallas, from Chicago to Miami, back to the Tri-State area, life hinges on LeBron James. Sorry Cleveland, Not In The Cards. But Why!?!? It's this simple. It became openely obvious this season that the Cavaliers, with LeBron, aren't winning a title as currently constructed. LeBron must be tearing up the sofa cushions watching Kobe wrap on ring number five. 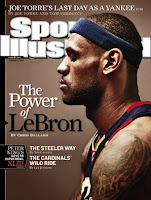 He must be furious that L.A., for a bag of dounuts, can acquire Pau Gasol and win a title. He must be furious that the Celtics went from chumps to champs overnight. All the while Cleveland had years to surround him with some legitimate second banana that would help him win a championship. It didn't happen. Now, with every All-Star from Dirk and Bosh to Rudy Gay and Amare on the open market, there goes yet another team who is going to add one of those work horses to their stable and become an instant contender. Who can go join LeBron back in Cleveland? Not many want to sign their deals in Cleveland. How is that going to help LeBron reach his goal? Can it? I doubt that. 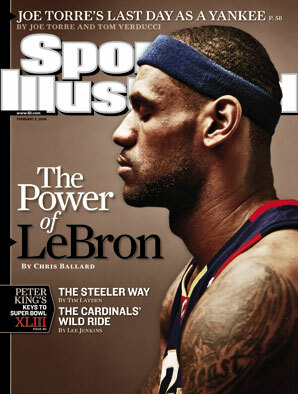 Despite an owner with deep pockets and the willingness to clean house, hats off to Dan Gilbert, but Cleveland isn't big enough for The King. Dwyane Wade holds a ton of cards. For starters, he's already a champion, got a ring to prove it. That actually goes a long way in the eyes of free agents and fans. Furthermore, he's got an ace in the hole or should I say an ace in the front office. With a champion head coach in Pat Riley running the show from the front office, it'll take a special free agent or three to bring Riley back to the bench, a place where he's been very successful. Every hopeful landing spot has no one on the bench with the resume of Pat Riley. Fed up with your coach? Angry things aren't under his control? Insert Riley. 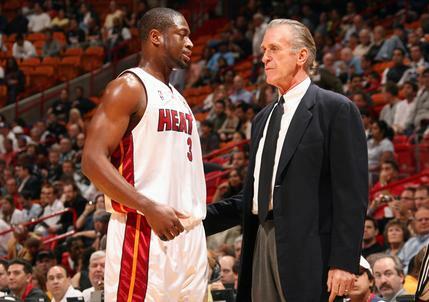 Between both Pat Riley and Dwyane Wade, there is plenty of rings to be flashed around. If one or two of these free agents find their way to Miami, it could mean a ton of problems for the rest of the NBA and yet another shot at history for Wade & Riley. Adding a player like Amare or Bosh in Miami would make the Heat yet again formidable, giving tough competition to LeBron if he were to stay in the Eastern Conference. Why have we heard so much about Miami in recent weeks? Because Dwyane was the only one of these guys to try and recruit rather than be courted, it's going to go along way in decision making I predict. As this begins, teams will scramble. Why are the Atlanta Hawks and Memphis Grizzlies throwing gigantic money at Joe Johnson and Rudy Gay so early? Because someone will have to take either New Jerseys, New Yorks, or the Clippers spot in the lottery which they've become so accustomed to selecting in. Whichever one of these small market clubs plays shy will end up heading back to the lottery as they quickly get worse losing some of their star players to free agency. But it's about to get even crazier as these teams begin to worry they won't land a replacement or the star they had planned for. The Grizzlies are throwing $82 million dollars over five years at Rudy Gay?!? The Hawks are prepared to make Joe Johnson, a player who blasted the fans during the playoffs, a $20 million per season man for six years. Then come the crazy deals already. 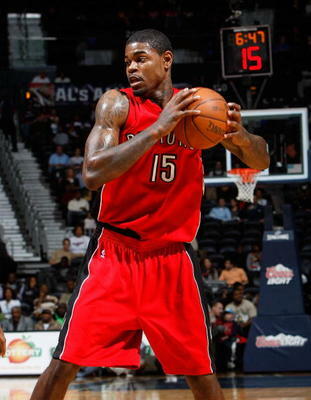 Raptors forward Amir Johnson has reportedly accepted an offer of 5 years for $34 million from Toronto. $34 Million for a player who gets just five boards a game?!?!? Oh it's getting interesting. Drew Gooden, yes that Drew Gooden just was awarded a $32 million dollar deal from Milwaukee. The Timberwolves are throwing simliar money at Darko Milicic???? Do we have any idea how crazy this summer is going to get with all these players trying to get new deals under the current CBA?? Your about to find out. What's Best For All Parties?!? When determining where a free agent should go, you've got to consider the NBA landscape and Sir David Stern (just knighted him). Amare Stoudemire & Dwyane Wade in Miami. Riley comes down and coaches the big man with Wade. We've seen what Wade can do with a very good player inside which will allow him to create. For the next five seasons a Wade & Stoudemire duo could do very simliar to what Kobe & Pau just did. Stoudemire needs a coach like Riley to get everything out of him, I believe that. 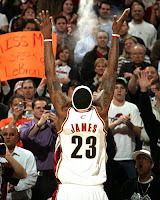 LeBron James in Chicago. If LeBron James goes to Chicago, he's got a second banana in Derrick Rose immediately. With Joakim Noah and Luol Deng to do the dirty work allowing he and Rose to push the ball, this team is super dangerous. I don't doubt that LeBron James hated playing against that Celtic defense, his new head coach in Chicago would be the mastermind of that same defense. Chris Bosh where the money is. If LeBron declares where he is headed and Wade follows, it's now Bosh's decision to go where he'd fit best. He's a fun kid who brings a ton to the table. There are some other views here though. Bosh is a 24 and 10 guy, he can write his own ticket. 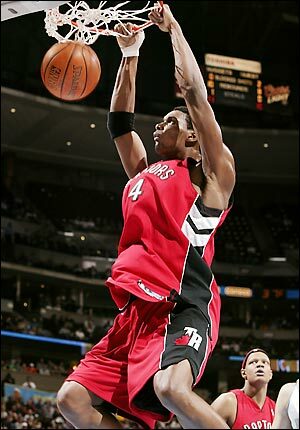 Houston is very interested in Bosh, a Texas native. The Nets & Knicks would both be willing to build around Bosh for simliar dollars. However, at the end of the day Chris Bosh has to see exactly what Pau and KG saw, your going to get paid anywhere, where can you win right away and play on the center stage. It's Bulls or Heat. Dallas, Boston, and Atlanta. Keep your players. For the Mavericks it's obvious they don't want Dirk going anywhere, he's their franchise. For the Celtics, Paul Pierce is retiring a Celtic. For the Hawks, do you want to be the Clippers or Nets? As the Eastern Conference is prepared to add yet another powerhouse to go alongside Orlando and possibly Boston, the tides are quickly changing in the NBA as the landscape develops. Oh this is about to get interesting.